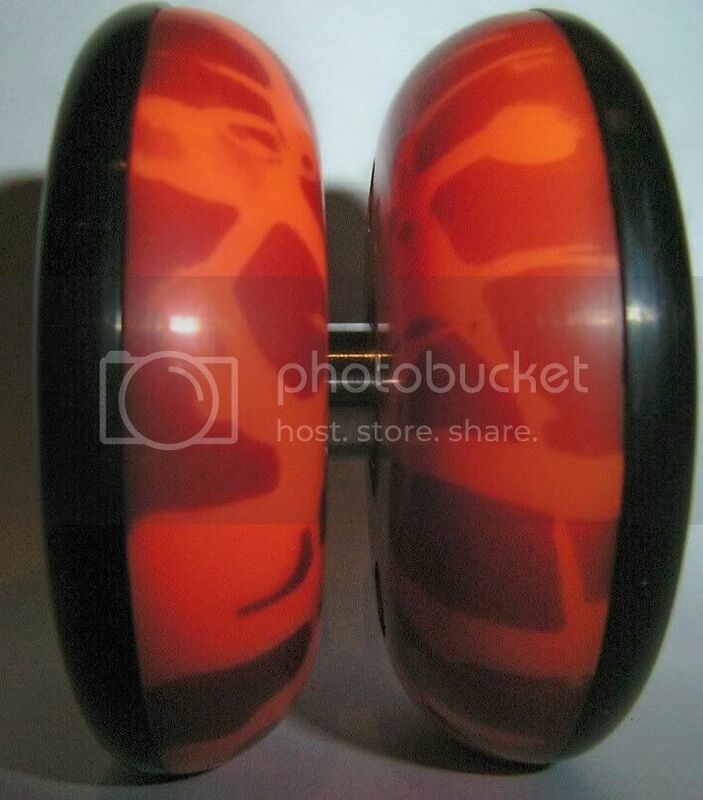 YOYOS.COM.AU • View topic - ARgghHHH!!! Its A TigerSquirrel!!!! Dont be alarmed it wont bite..... not without a bind neways. 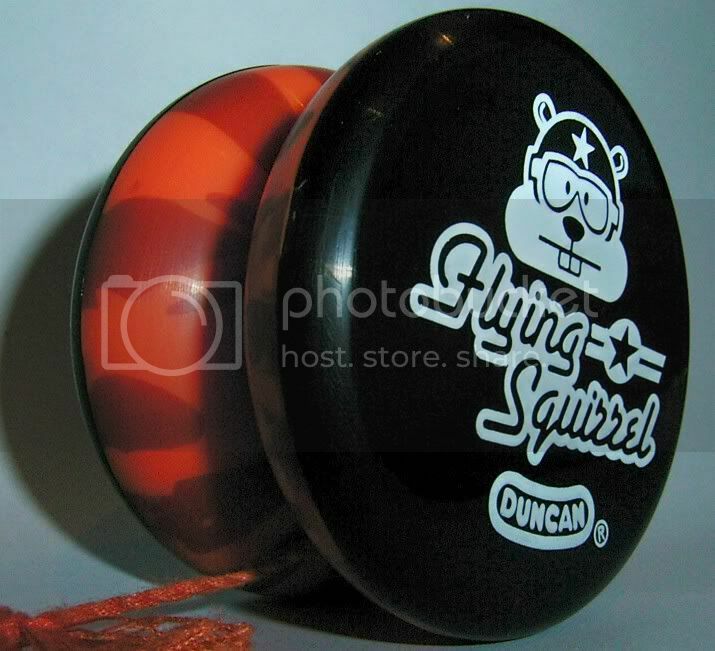 This is a duncan flying squrriel that i both modified and dyed for a competition run by an american from another board. 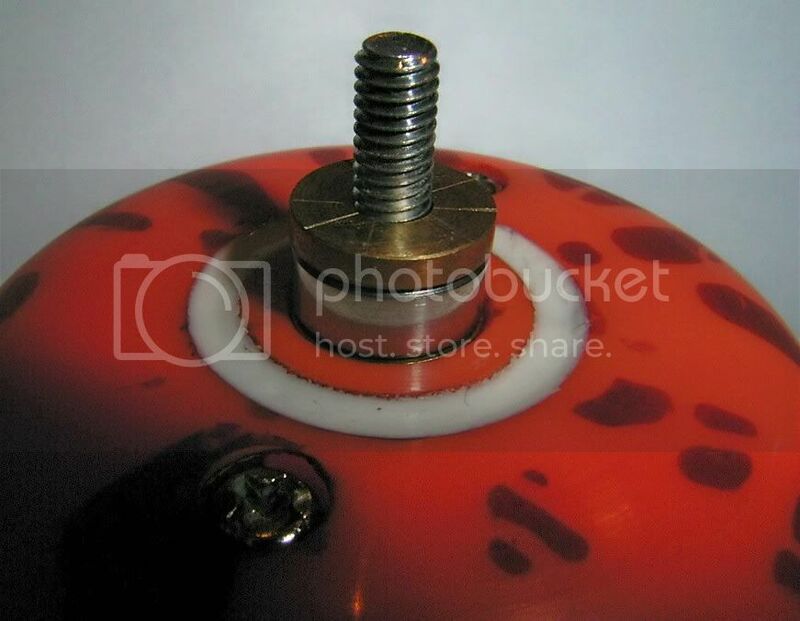 He sent out this yoyo and gave me money to send it back to modify however i saw fit, in order 2 possibly win something. I chose to utilize both the original color and the starburst by turning it into a silicon hybrid-like foxy lookin plyr4DppL. I also machined the back of the spacers to kill off any possible string slippage (happens on some squirrels) i hope you like it asmuch as i do. nice work, does it play as good as it looks? cool, good luck with the competition thing. i should stop myself here. Ahhh nice skipo! you never fail to impress! where did you buy the dye? RIT dye?? I don't know where to find this stuff. i got it at a local art suply store, there were quit afew colors, id be happy to do anything you wanted for the price of postage and supplies.